SD360 Double-sided Printer, includes Single Wire DUALi Smart Card Contact/Contactless Reader/Encoder, USB and Ethernet Interface, 100 Card input hopper. Includes US power supply cord and USB cable. Order ribbons, cards and software separately. Direct-to-card thermal transfer (1 or 2 sided), Duplex JIS mag stripe, 300 dpi, prints up to 200 1-sided color cards/hour, 2.125" print width, USB + Ethernet interface, 128MB RAM. Includes: Printer, drivers, Free ID Works Intro identification software, cleaning pen, cleaning roller spindle, USB cable, power supply, power cord. 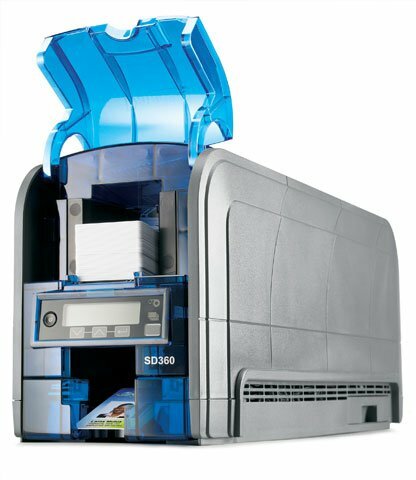 Direct-to-card thermal transfer (1 or 2 sided), duplex, dual count/countless reader, 300 dpi, prints up to 200 1-sided color cards/hour, 2.125" print width, USB + Ethernet interface, 128MB RAM. Includes: Printer, drivers, Free ID Works Intro identification software, cleaning pen, cleaning roller spindle, USB cable, power supply, power cord. 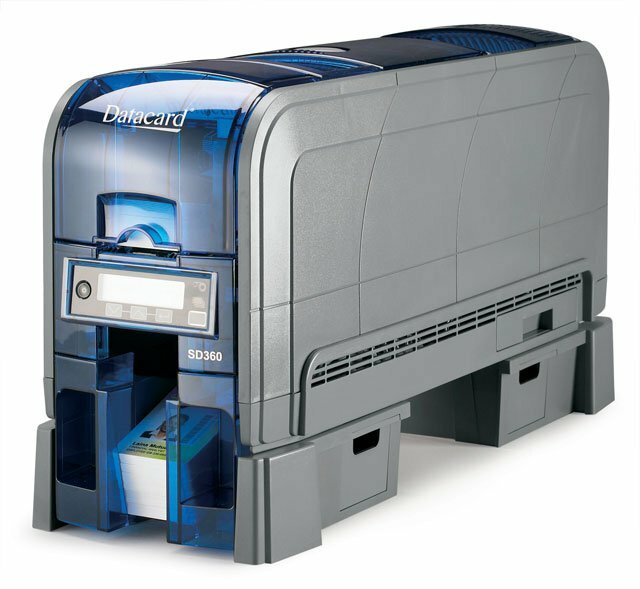 Direct-to-card thermal transfer (1 or 2 sided), duplex ISO mag, 300 dpi, prints up to 200 1-sided color cards/hour, 2.125" print width, USB + Ethernet interface, 128MB RAM. Includes: Printer, drivers, Free ID Works Intro identification software, cleaning pen, cleaning roller spindle, USB cable, power supply, power cord. 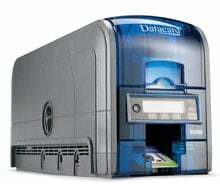 Direct-to-card thermal transfer (1 or 2 sided), duplex, 300 dpi, prints up to 200 1-sided color cards/hour, 2.125" print width, USB + Ethernet interface, 128MB RAM. Includes: Printer, drivers, Free ID Works Intro identification software, cleaning pen, cleaning roller spindle, USB cable, power supply, power cord. SD360 Education Bundle. 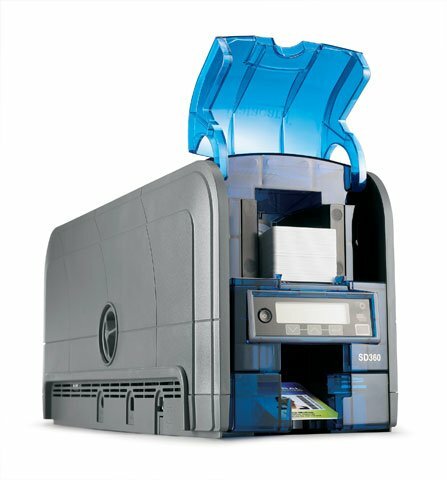 Includes Double-sided SD360 Printer, Ribbon, Blank Cards, Camera, Cleaning kit, and TrueCredential Plus design software. I needed a system that would print identification badges for an after school program where we badge students in and out. Worked great for getting that set up. 12 Month Rapid Replacement Warranty Upgrade for SD360 ID Card Printer, provides Toll-free, 24/7 access to customer support, Technical phone support for hardware, Next day (Excluding weekends and holidays) turnaround time from receipt of failed printer, and Air return shipment method. outer diameter. Post warranty service contracts must be ordered 30 days before the end of the warranty period. 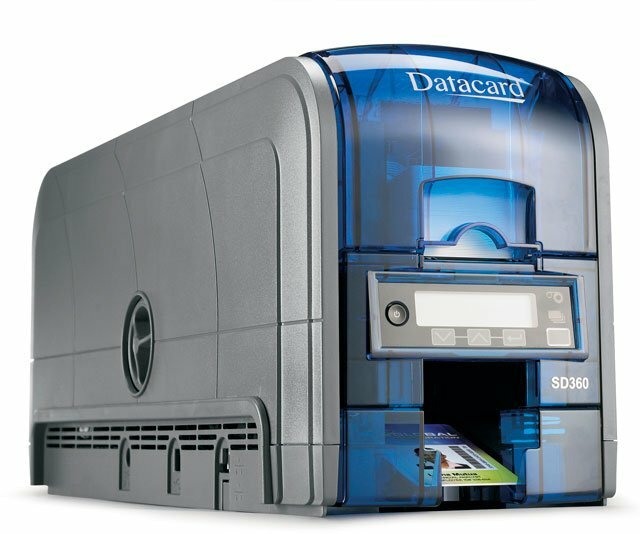 24 Month Rapid Replacement Warranty Upgrade for SD360 ID Card Printer, provides Toll-free, 24/7 access to customer support, Technical phone support for hardware, Next day (Excluding weekends and holidays) turnaround time from receipt of failed printer, and Air return shipment method. Post warranty service contracts must be ordered 30 days before the end of the warranty period.